Kaletsky argues that marginal-cost pricing spells the end for the largest Western producers. Now that oil prices have settled into a long-term range of $30-50 per barrel (as described here a year ago), energy users everywhere are enjoying an annual income boost worth more than $2 trillion. The net result will almost certainly accelerate global growth , because the beneficiaries of this enormous income redistribution are mostly lower- and middle-income households that spend all they earn. Of course, there will be some big losers – mainly governments in oil-producing countries, which will run down reserves and borrow in financial markets for as long as possible, rather than cut public spending. That, after all, is politicians' preferred approach, especially when they are fighting wars, defying geopolitical pressures, or confronting popular revolts. But not all producers will lose equally. One group really is cutting back sharply: Western oil companies, which have announced investment reductions worth about $200 billion this year. That has contributed to the weakness of stock markets worldwide; yet, paradoxically, oil companies' shareholders could end up benefiting handsomely from the new era of cheap oil. Of course, the real world is never as simple as an economics textbook. Geopolitical tensions, transport costs, and infrastructure bottlenecks mean that oil-consuming countries are willing to pay a premium for energy security, including the accumulation of strategic supplies on their own territory. Nonetheless, with OPEC on the ropes, the broad principle applies: ExxonMobil, Shell, and BP can no longer hope to compete with Saudi, Iranian, or Russian companies, which now have exclusive access to reserves that can be extracted with nothing more sophisticated than nineteenth-century “nodding donkeys.” Iran, for example, claims to produce oil for only $1 a barrel. Its readily accessible reserves – second only in the Middle East to Saudi Arabia's –will be rapidly developed once international economic sanctions are lifted. For Western oil companies, the rational strategy will be to stop oil exploration and seek profits by providing equipment, geological knowhow, and new technologies such as hydraulic fracturing (“fracking”) to oil-producing countries. But their ultimate goal should be to sell their existing oil reserves as quickly as possible and distribute the resulting tsunami of cash to their shareholders until all of their low-cost oilfields run dry. That is precisely the strategy of self-liquidation that tobacco companies used, to the benefit of their shareholders. 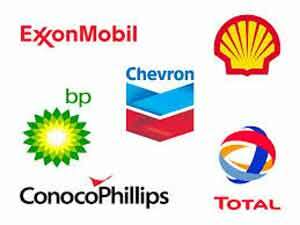 If oil managements refuse to put themselves out of business in the same way, activist shareholders or corporate raiders could do it for them. If a consortium of private-equity investors raised the $118 billion needed to buy BP at its current share price , it could immediately start to liquidate 10.5 billion barrels of proven reserves worth over $360 billion, even at today's “depressed” price of $36 a barrel. There are two reasons why this has not happened – yet. Oil company managements still believe, with quasi-religious fervor, in perpetually rising demand and prices. So they prefer to waste money seeking new reserves instead of maximizing shareholders' cash payouts. And they contemptuously dismiss the only other plausible strategy: an investment shift from oil exploration to new energy technologies that will eventually replace fossil fuels. As long as OPEC's output restrictions and expansion of cheap Middle Eastern oilfields sheltered Western oil companies from marginal-cost pricing, such complacency was understandable. But the Saudis and other OPEC governments now seem to recognize that output restrictions merely cede market share to American frackers and other higher-cost producers, while environmental pressures and advances in clean energy transform much of their oil into a worthless “stranded asset” that can never be used or sold. Mark Carney, Governor of the Bank of England, has warned that the stranded-asset problem could threaten global financial stability if the “carbon budgets” implied by global and regional climate deals render worthless fossil-fuel reserves that oil companies' balance sheets currently value at trillions of dollars. This environmental pressure is now interacting with technological progress, reducing prices for solar energy to near-parity with fossil fuels. Anatole Kaletsky is Chief Economist and Co-Chairman of Gavekal Dragonomics. A former columnist at the Times of London, the International New York Times and the Financial Times, he is the author of Capitalism 4.0, The Birth of a New Economy , which anticipated many of the post-crisis transformations of the global economy. His 1985 book, Costs of Default, became an influential primer for Latin American and Asian governments negotiating debt defaults and restructurings with banks and the IMF. Petroleumworld does not necessarily share these views. Editor's Note: This commentary was originally published by Project-Syndicate.Org on Dec. 23, 2015.Petroleumworld reprint this article in the interest of our readers.